Attrition and hiring outlook for India's multinational corporations' R&D centres remain positive despite challenging macroeconomic environment, according to a survey by leading globalisation advisory and management consulting firm Zinnov. According to the report, on the MNC R&D ecosystem titled 'attrition, hiring and salary increase 2013' India currently hosts 1,031 MNC R&D centers, growing at around 4 per cent year or year, with an overall employment base of 2,44,000 growing at about 11 per cent year on year. The study noted, in 2013, MNC R&D centres saw voluntary attrition levels of 9.4 per cent, a significant decline from 2011 when it was around 17 per cent, while remaining at similar levels as 2012 when it was 10.7 per cent. 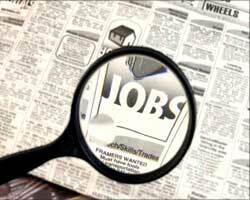 On hiring, the study highlighted that, it remained range-bound in 2013 at 20.1 per cent. While this aspect has declined from the boom years of 2010-11 when it breached 30 per cent, it is relatively stable in comparison to 2012. Moreover, it stated that of this talent pool, about 59 per cent is employed in software, telecom and semiconductor verticals and software companies alone employ about 35 per cent of the total R&D talent present in India. "Innovative employee engagement initiatives, stable salary growth, and the increasing availability of higher -value roles and opportunities in India have helped maintain stability in attrition, despite expectations to the contrary," Zinnov Senior Program Manager -- Globalisation Accelerator Platform, Nitika Goel said. She added that ". . .MNCs have also stayed their course on hiring, with a specific focus on lateral hires even at junior levels. “There is a clear focus on investing in people and we see this trend continuing in 2014." In 2013, the difference in average hiring to average attrition was around 11 per cent. Salaries increased at an average of 12 per cent, with the 2014 outlook remaining in a similar range, at 11 per cent. The study found that promoted employees received an average hike of around 25 per cent while those identified as top performers received about 18 per cent on average. Salary rise at software R&D and engineering R&D centers was at par, at about 11 per cent and about 12 per cent, respectively. The 2014 outlook for salary increase at both types of R&D centers remains within the range of 11-12 per cent, the survey noted.